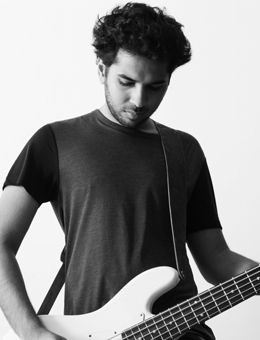 Adil Kurwa is a Bass player from Bombay who had been performing since 2007. He recently completed his Bass Producer course at the True School of Music. He has been an active member of the Indian independent music scene as a Bass player for The Colour Compound, The Koniac Net, Last Remaining Light and Tejas. In addition to his own music, he has also played as a sessions musician on advertisements ,film scores and soundtracks as well as on Coke Studio. He has studied an array of music styles Like Jazz, Latin, Funk and R&B under a variety of teachers like Jeff Koch, Lauren Falls, Marco Zenini, Breno Vericimo, Mihail Ivanov, Chris Talio, Pawan Benjamin and Eran Har Even.